David Gingras is a solo Internet and First Amendment attorney based in Phoenix, Arizona. David has more than a decade of experience defending website owners and users from claims arising from online speech. Current and former website clients include RipoffReport.com, TheDirty.com, ShesAHomeWrecker.com, FemaleStars.com, and many others. David has litigated more than 50 cases involving Communications Decency Act Immunity (47 U.S.C. § 230) and related claims including: Jones v. Dirty World Ent. Recordings, LLC, 755 F.3d 398 (6th Cir. 2014); Global Royalties, Ltd. v. Xcentric Ventures, LLC, 544 F.Supp.2d 929 (D.Ariz. 2008); Crabtree v. Dirty World, LLC, 2012 WL 3335284 (W.D.Mo. 2012); Hare v. Richie, 2012 WL 3773116 (D.Md. 2012); Dyer v. Dirty World, LLC, 2011 WL 2173900 (D.Ariz. 2011); Gauck v. Karamian, 805 F.Supp.2d 495 (W.D.Tenn. 2011); Asia Economic Institute, LLC v. Xcentric Ventures, LLC, 2011 WL 2469822 (C.D.Cal. 2011), ICG-Internet Commerce Group, Inc. v. Wolf, 519 F.Supp.2d 1014 (D.Ariz. 2007), and many others. 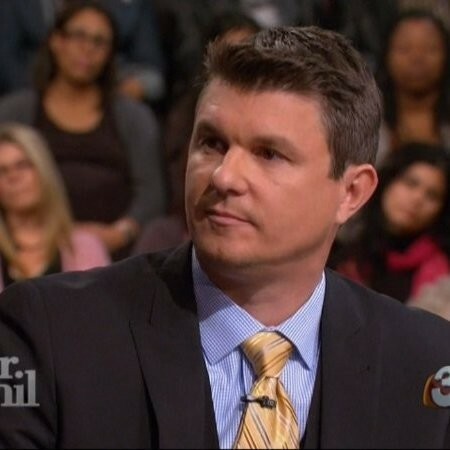 David has given dozens of presentations, seminars, and many local and national TV interviews on the topic of Internet law, including recent TV interviews with Dr. Phil McGraw, CNN’s Anderson Cooper, NBC’s Today Show, and CBS This Morning, among others. David received his B.S. degree in Real Estate from Arizona State University in 1994, and his J.D. degree from University of San Francisco School of Law in 2000 where he was a member of the USF Law Review. David Gingras is a solo Internet and First Amendment attorney based in Phoenix, Arizona. © 2019 Gingras Law | All rights reserved.